I’m linking up with Soscrappy so click on over to see a bunch of sea green. 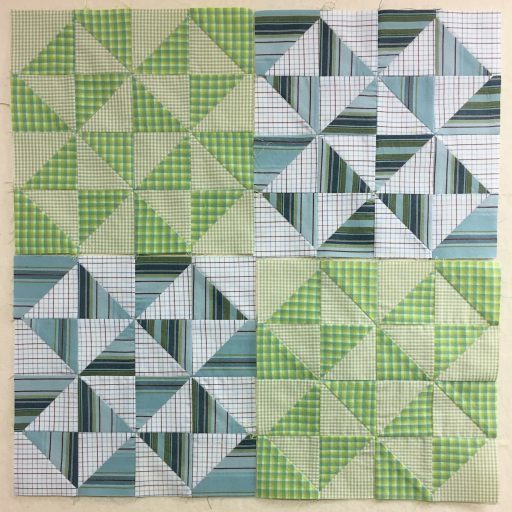 turquoise and teal blocks. 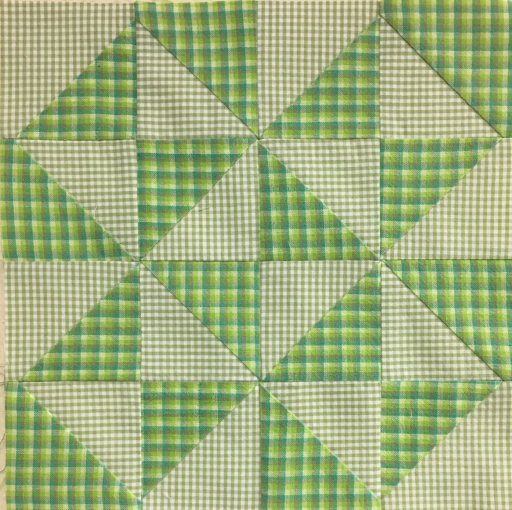 This entry was posted in Quilting, Recycled Clothing Quilts. Bookmark the permalink. 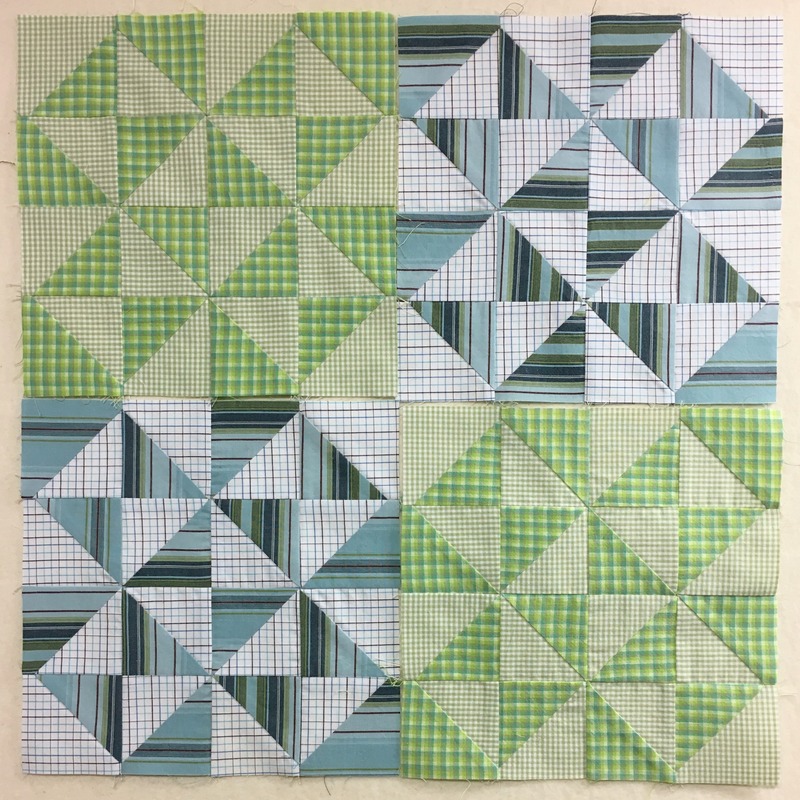 The stripe fabric makes an interesting block. Well done. Nice blocks! I have lots of shirts,haven’t had time to cut them up! 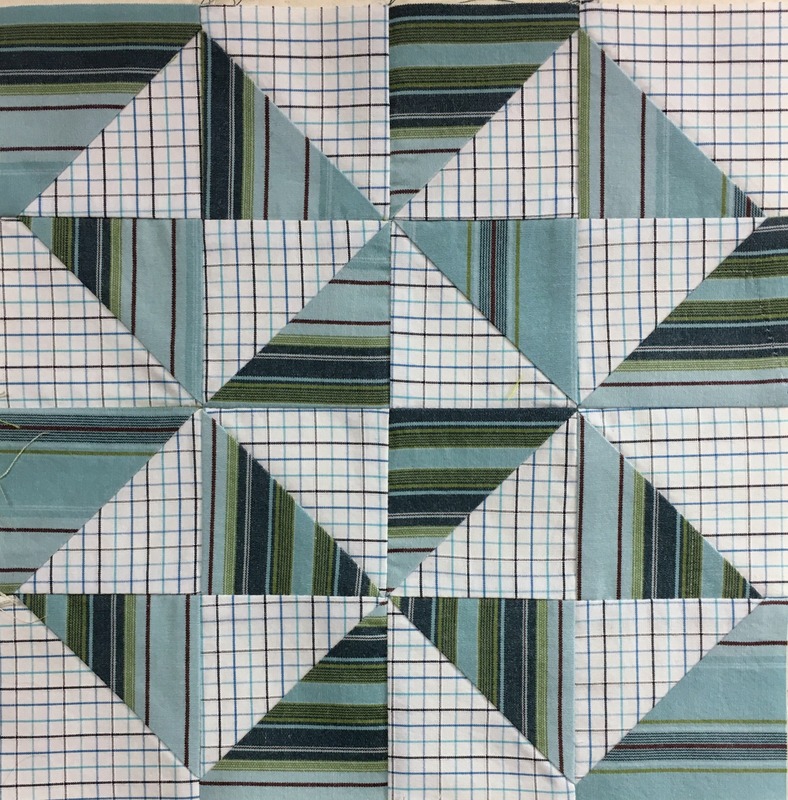 Can’t wait to see this quilt come together! You win extra RSC credit and points for using plaids and stripes. Wonderful! 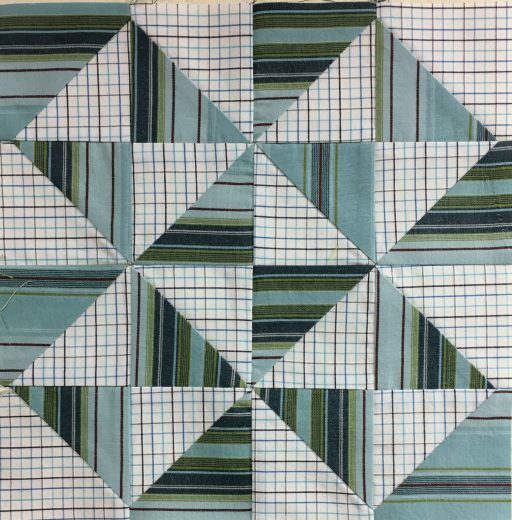 Wonderful teal blocks – love those plaids and stripes! These blocks make me smile. To recycle/upcycle makes me incredibly happy. I’m looking forward to seeing your collection of blocks grow into a quilt!! So soothing — and I know just how precisely these are pieced (grin). Beautiful work! Nice! They work well together! ‘Tis always a viewing pleasure! I love your recycled fabrics in these blocks. It’s going to be a very pretty quilt.